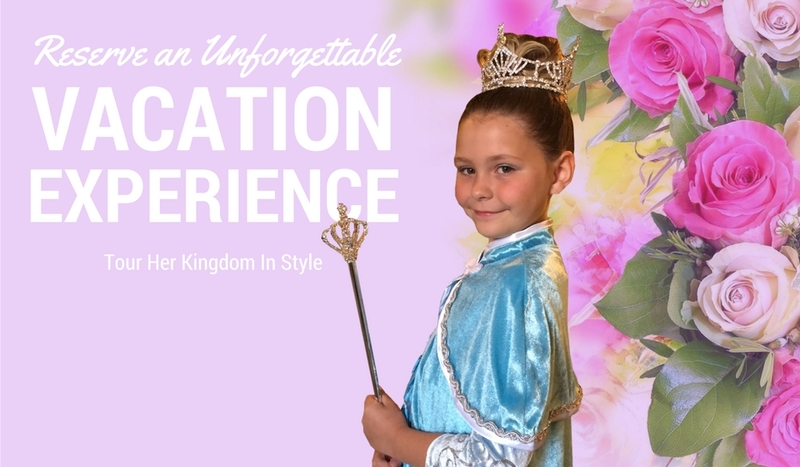 Princess Packages start at only $99.95 and include your choice of Princess Dress, Princess Sash, Make-up Kit, Nail Polish, Flashing Wand, and Crystal Headband. If the princess would like an up-do, the Brilliant Package at $124.95 adds a real Rhinestone Tiara and faux scrunchi hairpiece for a beautiful, full and easily repeatable up-do. They even have an Enchanted package for those who would like a princess package without a dress. The dresses are all “mom approved” made from the finest quality, washable fabrics with a stretchy bodice and nothing scratchy. They are perfect for those HOT Florida days at a theme park with their lightweight skirts and breathable fabric bodices. Character Dresser is the perfect option for those who would like a Princess experience but perhaps cannot get an appointment at a Walt Disney World Bibbidi Bobbidi Boutique, does not meet the age requirement for the Disney World Bibbidi Bobbidi Boutique, is concerned that the high level of activity and noise at Bibbidi Bobbidi Boutique at Disney Springs would not suit their child, does not want to spend the precious theme park hours waiting to go through the Magic Kingdom Bibbidi Bobbidi Boutique process or simply would like the quality items available from Character Dresser. Click here to see all the princess packages characterdresser.com offers. Typical appointment times are from 6 am till 2 pm, seven days a week. For questions you can call them at +1 (407) 624-3030, email them at Cinderella@CharacterDresser.com or go to their website at characterdresser.com and use the chat feature.